ABS Finland and the European Foundation for Management Development have signed a reciprocal membership agreement. This agreement strengthens the cooperation between ABS Finland and EFMD. ABS Finland and the European Foundation for Management Development have signed a reciprocal membership agreement. This agreement strengthens the cooperation between ABS Finland and EFMD. ABS Finland is already a member in the European Quality Link network, which is hosted by EFMD. 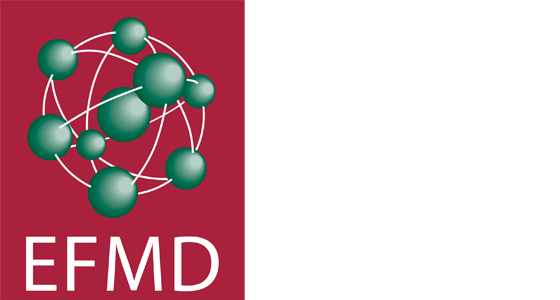 EFMD is an international membership organisation, based in Brussels, Belgium. It has over 750 member organizations from academia, business, public service and consultancy in 81 countries. EFMD provides a unique forum for information, research, networking and debate on innovation and best practice in management development. EFMD is recognized globally as an accreditation body of quality in management education with established accreditation services for business schools and business school programmes, corporate universities and technology-enhanced learning programmes. Among the EFMD accreditations are EQUIS and EPAS accreditations. These are probably the best known of EFMD accreditations in Finland, since there are some business schools that have managed to get these. “With this reciprocal membership, ABS Finland strengthens its European and global network. Business education is international in nature and the accreditations EFMD issues have great significance to the business schools. We are very happy that ABS Finland is now a member of EFMD and vice versa. The EFMD community adds an important element into the activities of ABS Finland.” says ABS Finland Secretary General Juuso Leivonen.